And for those who can face more writing by me, there’s a short piece in Chatham House’s World Today magazine on the possible political consequences of the global economic crisis in Central and Eastern Europe. Journalists and economists were making all the running on this – and sometimes not very good running, I felt – so I thought I stick my oar.The piece is downloadable here until the end of May, longer if you are a CH member. As one of my colleagues has already pointed out, I underestimate the extent to which the crisis will push CEE elites towards support for further European integration even if they feel the need to make populist forays into bashing Sarkozy. A review essay that I wrote for Czech Sociological Review last year, that burst Incredible Hulk like from what was originally conceived as small conventional book review is now available has appeared in the journal’s online archive. The essay reviews two similarly conceived books about the relationship between party competition and political abuse of the state bureaucracy in Central and Eastern Europe: Anna Gryzmala-Busse’s Rebuilding Leviathan and Conor O’Dwyer’s Runaway Statebuilding. The essay is downloadable here as are replies/rejoinders from the two authors, which can be found here and here. There is, however, not too much less blood on the carpet – certainly less than in my Lisbon hotel room. The perfect political science book hasn’t been written after all and when people start devoting critical essays to your work, it’s perhaps a sign that you have made it. It’s Monday morning. My head still feels bad and I feel terribly tired. 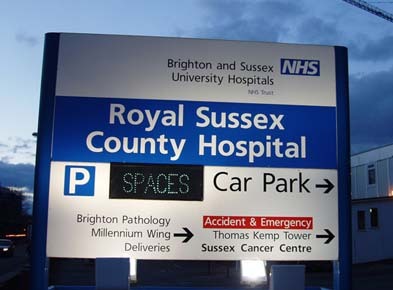 I go the doctor, who decides I should go to hospital in Brighton to have my head scanned. It’s modern and clean. Everyone’s very professional and pleasant. In the course of the next four hours, I move through a series of assessments and examinations: accident and emergency nurse; junior doctor; Senior House Officer; and finally the Registrar. My headaches have subsided, but they decide I do indeed need a scan. Under Health Service targets, no one should spend more than four hours in Accident and Emergency, so they transfer me to another part of the hospital, the Medical Assessment Unit. This houses some pretty sick people with drips, oxygen masks and monitors , but also seems to serve as a kind of overflow for A&E. Two hours later I get my CT scan, It is instantly uploaded onto their system, they tell me, but I still need to wait another five hours before they can get a radiologist’s report about what it shows. I pass the time reading the entire Casebook of Sherlock Holmes and listening various human dramas unfolding around me. A man with a Middle Eastern accent seems to be comforting a child, but is in fact talking to his Spanish boyfriend who speaks limited English and may have an appendicitis. An old lady says she has collapsed because of heart problems, but it turns out that her daily alcohol consumption is the real issue. Her son comes in. He is very pleasant sounding. and doesn’t seem surprised when told she will be referred to the Community Alcohol Team. Perhaps she know then already. She is discharged. Two policeman come in accompanying a man on a trolley. He is a prisoner serving a jail term and they are escorting him. They joke with him about whether the beds are better in hospital or in prison. In hospital he says, but the prison pillows are better. He dozes off and the policemen quietly start grumbling about the 4-5 hours they will be sitting around escorting him. At last, a registrar appears. The scan shows no acute injuries, she says, so if I have no headache now I can go home when the senior registrar formally OKs it. I am to rest and come straight back if I have more headaches or am sick, however. She’s bleeped him, she says, but doesn’t know when he will get onto it. He could be in the middle of cutting someone up, she explains. Two hours later, I am officially discharged. A burly security guard sees me off the premises. It’s 1 o’clock in the morning. I have been in the hospital exactly 12 hours. I have spent the last few days in Lisbon attending the European Consortium for Political Research Joint Sessions of Workshops. It wasn’t a good trip. On the whole, what can go wrong does go wrong. I take the airport shuttle to a stop near the main mosque and step out into a rainstorm. I had naively imagined there would be sunshine, so I have brought only a thin jacket. I quickly get soaked. I also get lost and spend half and hour so wandering around in the dark, rainswept streets. It’s an unprepossessing area with an odd mix of new hotels and apartment blocks and run down shops and bars. I catch a glimpse of Lisbon’s fllodlit central Mosque across the street. Finally, I realize I am heading in the wrong direction. At last, I get to the hotel. Here they tell me I have been moved to another hotel, the impressively named VIP Grand, due to some mix-up by the agency running the conference arrangements. Ironically, I had walked passed the Grand in the pouring rain 20 minutes before. 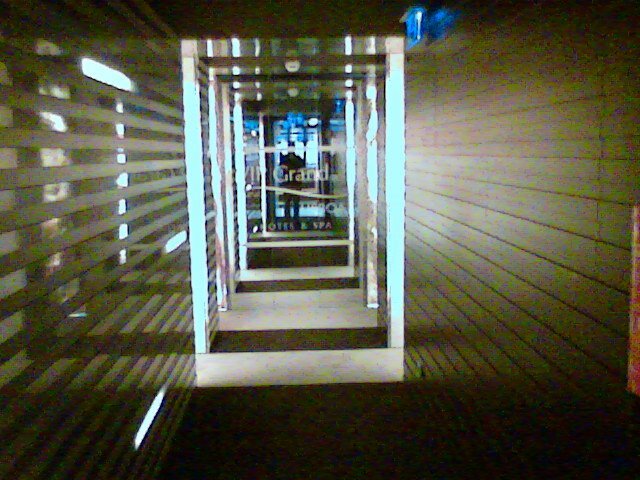 Duly transferred, I find myself in a nice hotel with a jarringly modern interiors : strange lighting, stark blacks, whites and strikes, plenty of mirrors and glass. Apparently, it was designed on Zen principles in a building that was once the headquarters of Portuguese TV and radio. I walk down a corridor, which is lit like something out of Star Wars, half expecting Darth Vader to come round the corner, and make it my 12th floor room. I go to take a shower and slam straight into a glass partition between bathroom and bedroom, mistaking it for an open doorway. My head gets an almighty bang. I bleed all over the place. It’s very late. I can’t face the thought of seeing a doctor. By day 2 of the conference, however, I am having headaches and I’m starting to feel sick. Not a good combination. I end up sitting in the accident and emergency department of a private hospital. Here they check me out, relieve me of 100 euros and decide that I’ve caught flu and that my head is not a cause for concern. I feel pretty grotty for most of the rest of the conference, however, fortifying myself black tea and Portuguese bica expressos. Academically, things go rather better. The workshop on Generational Politics is animated and has a sensible balance between presentation and discussion – a good system of double discussants – and civilized regime of breaks. Easyjet round off a difficult trip by laying on the return flight from hell. At the last minute, passengers are herd to different departure gate. A long queue stands for an hour gradually getting more restive. Portuguese passengers start laying into the local Easyjet staff. Finally, they tell us they have had to get a new crew or a new plane, but we can now board. Once on the plane, however, we learn that they need a ‘competent engineer’ to sign off some technical check and they can’t find one. We spend another hour sitting on on the plane. Children start screaming. My head is still aching. In the end, we take off 2 hours late. There is the usual cattle-truck-of-the-skies experience, this time of the added bonus of the smell of the toilets wafting through the cabin ventilation. At Gatwick airport at midnight, there are no stopping trains, so I have to fork out £50 for a taxi home. Perhaps next time, they should just run the ECPR over Skype. Getting ready for your summer holidays in the Czech Republic? Perhaps wondering what to take? Sun hat? Sandals? A book? Some hay fever tablets? Good idea. Oh yes and could you perhaps also bring a ‘summer government’ of non-political experts to run the country for next few months. Just while the local politicos pass a quick constitutional law or two and fight it out in early parliamentary elections in October, you understand. Yes, the main Czech parties have solved the political crisis that followed the collapse of the shaky centre-right minority government by drafting in a team of non-party technocrats to run things from next month until early parliamentary elections in October. Opportunity knocks. You too can be Prime Minister. At least if you are a previously obscure technocrat of a certain age and you haven’t blotted your copybook with any partisan commitments since 1989 (Communist Party membership in 1980s is OK, however: indeed it would tend to emphasize your excellent apolitical technocratic credentials). The interim summertime Prime Minister will therefore be…. Jan Fischer the head of the Czech Statistical Office. Come on down. Fischer is such a grey but respected technocrat, whose high level political experience seems to be confined to sitting on various government advisory boards and fending off efforts to spin embarrassing figures (Communists I have met are invariably convinced that CSO fiddles the figures for political reasons – I suppose they should know). All other ministers in the new government will be high ranking officials or diplomats. It will take a month for this dream team to assemble, however, so the outgoing Topolánek administration gets a final month for its sadly pathetic swansong., so technically speaking following the formal appointment of Fischer as PM last Thursday the CR has two premiers. The problem is you see under the Czech constitution dissolving parliament to hold early election is not the straightforward business it should be in a country usually incapable of generating stable majority government. Instead of a quick parliamentary vote or stroke of the presidential pen, officially Czech legislators are supposed to try to form a government three times and have three unsuccessful parliamentary votes and then and only then can the Chamber of Deputies be dissolved. Not surprisingly, as in 1998 the main parties decided to bypass all this and pass a one-off constitutional law bringing elections (scheduled for June 2010) forward to October. The agreement of a stopgap non-partisan caretaker government was unexpected but is not exactly unfamiliar territory in the CR. Such a “government of officials” (uřednická vláda) is a familiar holding device in Czech politics which date back to 1920s, reflecting a Czech veneration for The Expert (bring in odborník and all discussion ends) A similar caretaker administration under central bank governor Josef Tošovský was formed in 1997 in the wake of the ignominious collapse of an earlier minority right-wing government. Jan Fischer et al get a chance for 15 minutes fame largely the result of a deal between Topolánek and Social Democrat leader Jiri Paroubek, who, while they may be at each other’s throats politically, still know how to do a deal when they need to. And why did they need to? Well, for the Social Democrats it’s about showing who’s boss and giving the right a good kicking when they’re down. And for Topolánek it’s about showing who isn’t boss by stitching up a deal: President Klaus. He’s got a deal for stable majority-back government signed and sealed before VK can start playing a more active role and floating prime ministerial nominees and projects of his own. They say the new government will be non-political and non-partisan, but parties are nominating ministers for specific ministries and there’s a certain whiff of a Grand Coalition in the deal that hasn’t pleased everyone. Having initially signed up for it, the two junior partners in the outgoing coalition, the Greens and Christian Democrats have quickly gone off it. Both parties’ executives quickly threw it out demanding – as had been explicitly not agreed – that the Topolánek government continue until the end of the Czech EU Presidency on 30 June. Very stateperson-like? After all, this latest domestic denouement does put the kibosh on the Czech Republic’s tottering Presidency of the EU, which still has two months to run. There won’t be any immediate disruption. The Topolánek government continues in a caretaker capacity for another month but is the lamest of lame ducks. And the inexperience and limited shelf life of the caretaker government will finally choke whatever limited capacity the CR once to play a political co-coordinating role at the head of the EU. 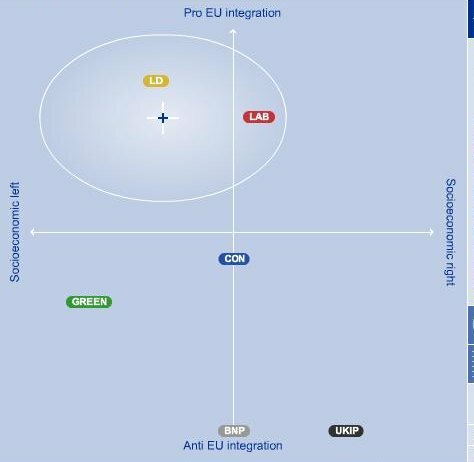 Well, no not really, ODS-CSSD collaboration immediately deprives the small parties of power and leverage and given the combined parliamentary and political weight of ODS and CSSD, minor party objections ultimately count for little so lofty concern about the direction of Europe also coincides with self-interest. Christian Democrat deputies are split over whether to back the caretaker government – a ‘blue’ wing of more pragmatic and economically liberal KDU leaders led by outgoing Finance Minister Kalousek are backing it, although these people seem destined one way or another to join ODS. Green leader Martin Bursík, another loyal ally of ODS, also seems to be actively supporting the project, mainly in order Klaus-proof the caretaker government as much as possible the choice ministers. For, it’s an ill wind that blows no one any good. As last man standing, Klaus will play a more prominent role in foreign policy. As well as chairing the forthcoming EU-Russia summit (as agreed earlier – VK is something of Putin fan so no feathers likely to be ruffled there), Klaus may chair the upcoming EU-China summit and the June EU summit, unless Jan Fischer has unexpected chutzpah and cojones The June summit will discuss Ireland’s ratifying the Lisbon Treaty and the EU position for December’s Copenhagen climate conference. As a rampant climate change sceptic/denier and fierce opponent of Lisbon, Klaus will no doubt have some views about how to handle both agendas. 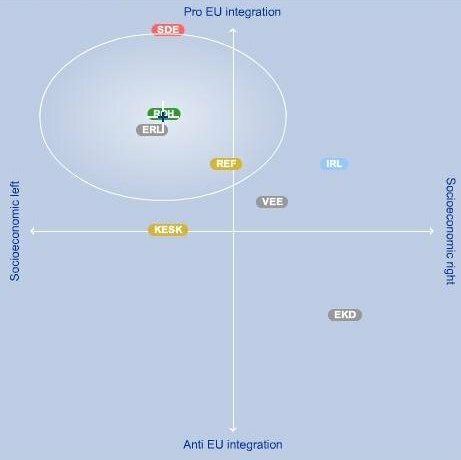 The Czech Senate is, however, likely to vote on the Lisbon Treaty in early May and the Treaty is likely to be narrowly ratified: they need a mere seven (of 36) ODS Senators to join the other pro-Lisbon parties (everyone apart from the Communists) and it will finally be ratified. We know that 4-5 Civic Democrat Senators will definitely vote for the Treaty, so that means that only another 2-3 need to back it (or indeed merely not turn up, lowering the vote for the required majority) and it will go through. Indeed, who know, perhaps some juicy side offer to the Communists from the Social Democrats – who are very keen to show that business in Prague is continuing as usual – may induce a couple of them to leave the building for a while. The new government won’t have a lot to do. Just (just?) to prepare a budget for next year, revise the existing one in the light of the downturn and implement some anti-crisis measures to keep the Czech economy afloat. Here, interestingly, the caretaker government may provide useful political cover for compromise by the big parties on anti-crisis measures to fight the economic crisis. The National Economic Council set up in January was supposed to play such a consensus building role, but the Social Democrats cold shouldered it, given a distinctly right-wing complexion. After the fall of Topolánek, however, some piecemeal economic measure were surprisingly quickly agreed by ODS and CSSD legislators. Still, their current fall out about the implementation of the previously agreed car scrappage scheme suggests that such compromise may not be that easy to reach, given their ideological differences. For all the talk of contagion across the region, the Economist’s new Political Instability Index offers (almost certainly quite right) contrasting assessment of the political prospects of Central and East European states in the global downturn. Small, ethnically homogeneous, successfully reforming states with strong social safety nets and good(-ish) economic fundamentals such as Slovenia and the Czech Republic, are rated alongside Germany and Japan as among the most internationally stable political systems. Ukraine’s uncertain national identity, high levels of inequality and corruption and proximity to a restive and powerful Russia, by contrast, see it rated alongside African and South American states as the amongst the world’s highest risks for political instability. Expect a riot. Other Central and East Europe states get more mixed scores. Estonia’s success in democratic and market reform, for example, was offset by the higher risks associated with its ethnic diversity and weak welfare state. Poland’s traditions of protest politics also see it rated as moderately risky, despite otherwise good indicators. The methodology is a fairly standard political science approach of producing baskets of variables covering different risk factos, some structural and longer term, others more short-term and conjunctural. It’s not sure whether all these have been crunched in some regression analysis or totted up some other way (the former, I suspect), but their high risk rating of Moldova seems to have been quickly borne out with the violence surrounding Moldova’s elections, won by the incumbent Moldovan Communists. The opposition cry foul and claim a stolen election – the first move for any Coloured Revolution scenario – and students vent their frustration on some government office equipment (PCs thrown through a window). I don’t know enough about Moldovan politics to make any judgements, but I suspect that if the PCM did steal the elections they probably didn’t need to. There’s a small striking black and white poster up in the lift with a familiar image of Lenin. I assume at first it’s for the Socialist Workers’ Party (‘…Lenin’s thoughts about the world crisis…’ yawn) and am a bit surprised that the SWP has any sympathisers at SSEES. But when I read on get the bit about Vladimir Illich’s views about advice about MPs expenses and passing exams being given by Lenin’s brain on tour having been specially revived and bio-engineered Russian scientists, it dawns on me that it’s a April fool, although as Soviet scientists do more or less try this in the 1920s, it’s perhaps not that wide of the mark. Maybe someone working in artificial intelligence could programme some online avatar to simulate what the leader of the world proletariat would say. No doubt what remains of the traditional student far left would welcome the advice. I sit in a small pool of light in my office using the QCA program to ‘iterate’ between different comparative configurations. I’d like to think this the comparative political scientist’s equivalent of Lenin’s brain, but it isn’t and I end having to use my own rather more than I would like.